JK Contractors represents 40+ years of exceeding expectations. Our craftsmanship & knowledge truly sets us apart from the competition. We educate each client on quality products & materials, while helping decide what best fits the goal & budget. It's our desire to make your home reflect your dreams, advising you every step of the way while building trust and something you can be proud of. 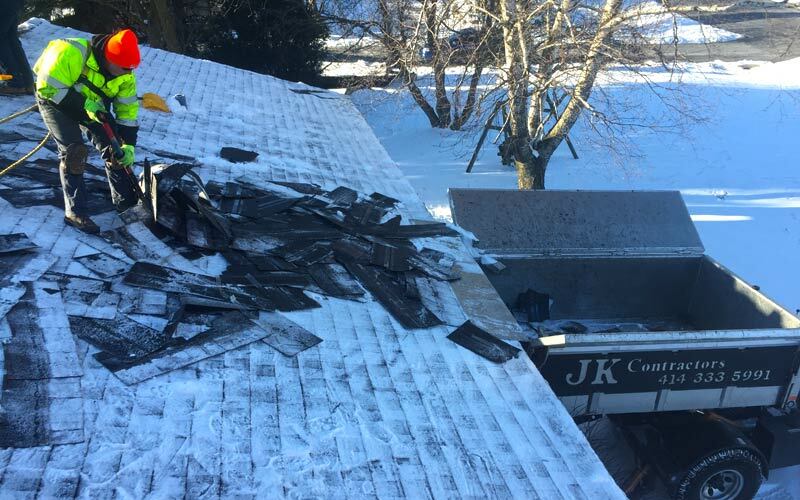 JK stands behind all manufacturer warranties and carries Workman’s Compensation & Liability Insurance to protect all parties and property involved in the process. When it comes to quality exterior home improvements, we're known as "The Keeper of Your Exterior Dreams". With an overall "A+" Rating from the Better Business Bureau, JK Contractors is focused on all the fine details during your project. JK is also a member of the Milwaukee/NARI Home Improvement Council, and we gladly furnish references upon request. All work is done by an expert staff, seen through from start to finish by our President Jeff Kurz, his Sons, and well-trained employees from our community. Our equipment is carefully maintained and only top-of-the-line tools are used to provide quality workmanship. JK takes every precaution to see that your landscaping (and your neighbors') is protected throughout the entire home improvement process, and afterwards we take special care during clean up. Our team is a close-knit group that has worked on thousands of projects together. We specialize in Residential and Commercial projects and have been served Milwaukee and the surrounding communities. Your home transformation dreams begin with us. With Our personalized approach and 40 years of experience we will help guide you step by step. We are eager to meet and exceed your expectations. When you're relying on someone to fulfill the dreams you have in your home transformation, who better than a company who's successfully served Milwaukee and the surrounding communities for over 40 years? Our team may be filled with expert craftsman and skilled workers, but what really sets us apart is our desire & commitment to seeing every job through to the end, and beyond, because of one simple reason: We are just like you. We understand the importance of keeping your property safe during installation and repair. We treat your home as if it were our own and take the time to set up tarps and plywood to cover windows and flower beds. We use a piece of equipment called the Equipter. 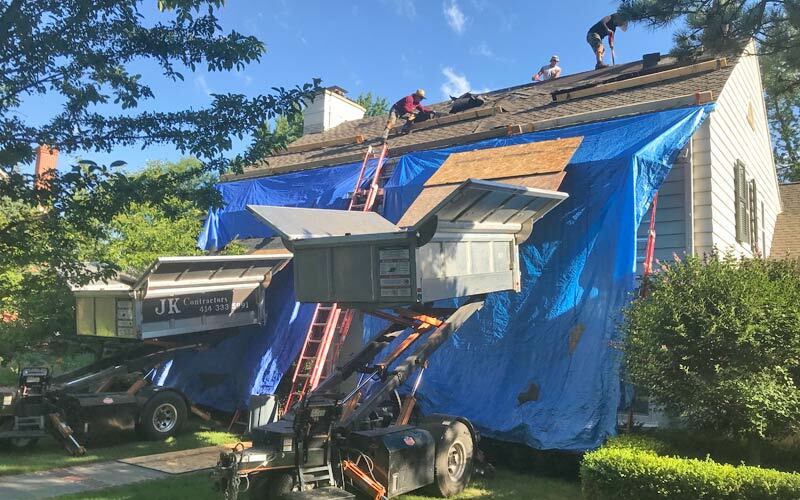 The Equipter is a roofing trailer that is used for debris management and it can easily navigate around landscaping and your lawn to make for an efficient clean up. Our team works year-round, performing valuable services to the community like snow removal & emergency repairs. We're certainly much more than your average 'contracting company'...and that's evident if you talk to the hundreds of people we help each year. If you do call us on Christmas Day...we simply ask you are well stocked with eggnog and chocolate chip cookies! JK Contractors, Inc. is passionately focused on providing the highest quality of service, using top-level genuine materials that meet our clients' needs, resulting in the most gratifying and long-lasting transformation they can truly be proud of for the place they call home.